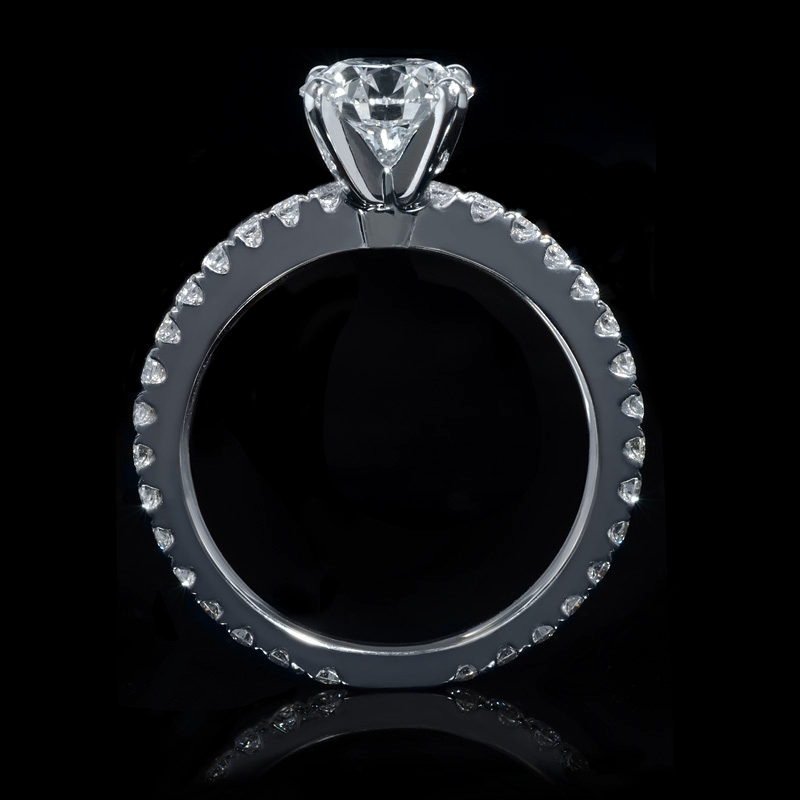 Diamond Details: 32 Round brilliant cut white diamonds, of F color, VS2 clarity, of excellent cut and brilliance, weighing .67 carat total. 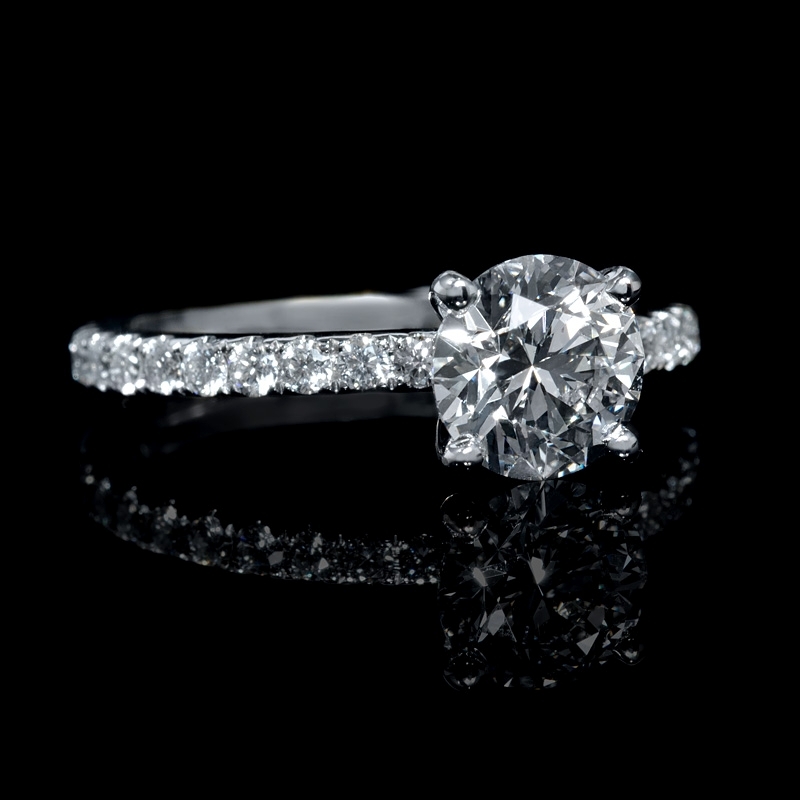 Setting Details: This platinum ring accommodates a 2.00 carat round cut center stone. 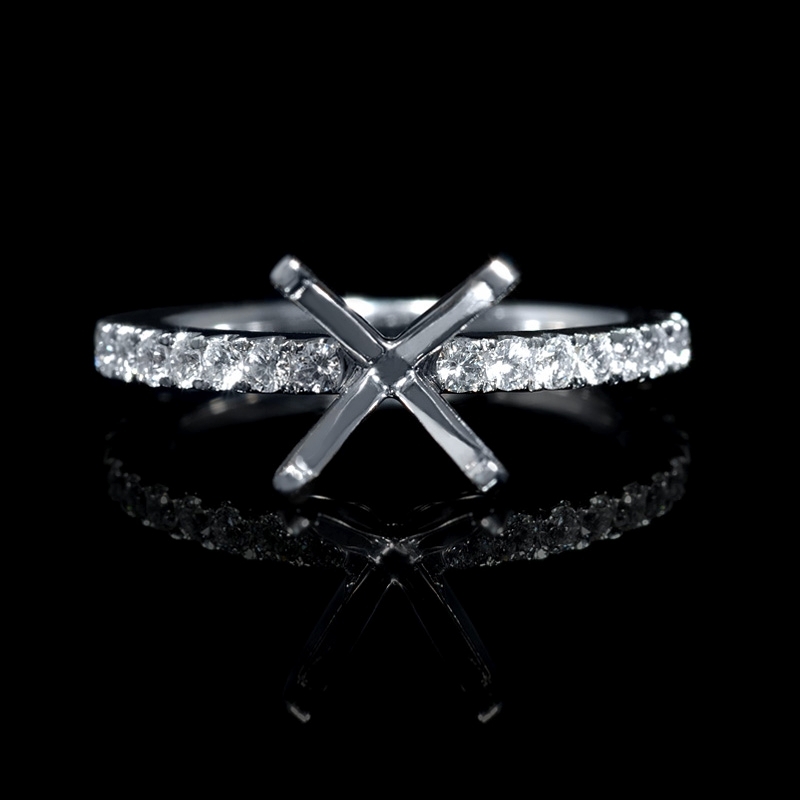 Note We also have the same ring setting in Diamond 18k White Gold. This beautiful platinum engagement ring setting, features 32 round brilliant cut white diamonds, F color, VS2 clarity, with excellent cut and brilliance, weighing .67 carat total. 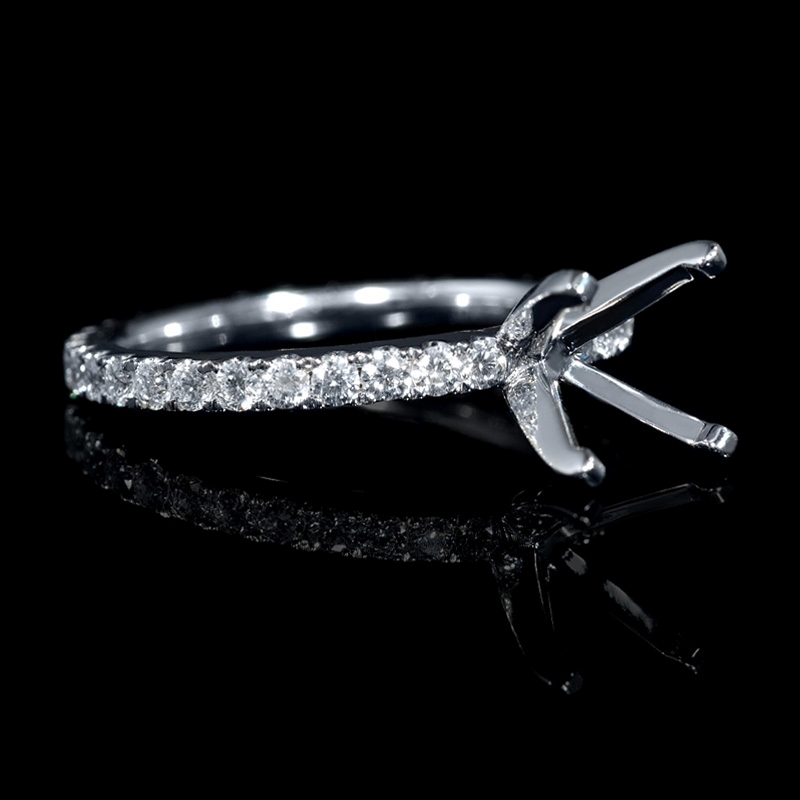 The ring is a size 5.75 and 2mm at the widest point. 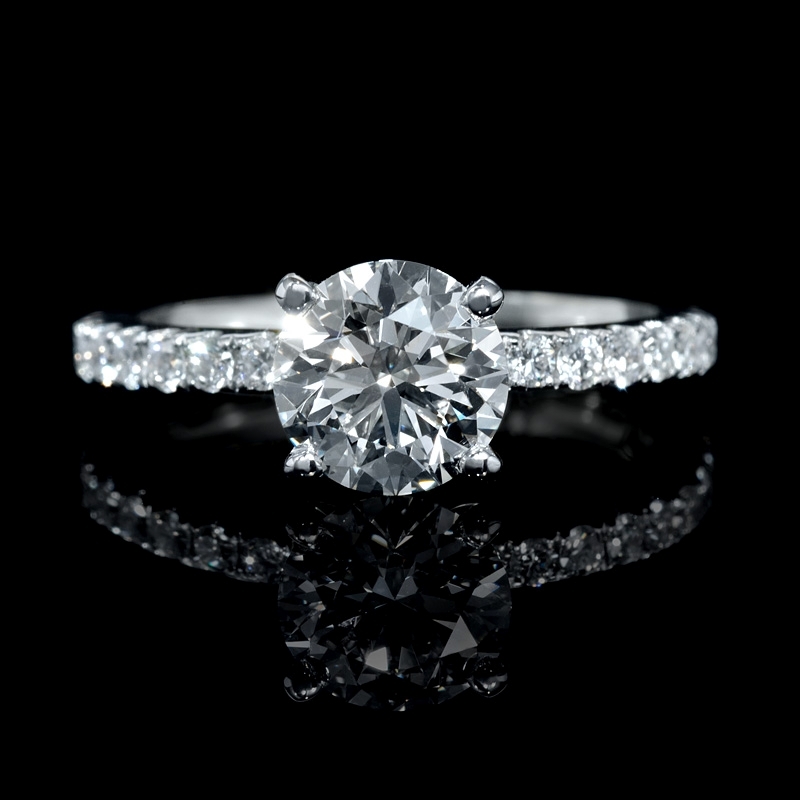 This ring accommodates a 2.00 carat round cut center stone.